The peak financial technology (fintech) industry bodies in Indonesia and Australia have signed a landmark agreement to help drive exchanges of talent and expertise between the two growing fintech markets. 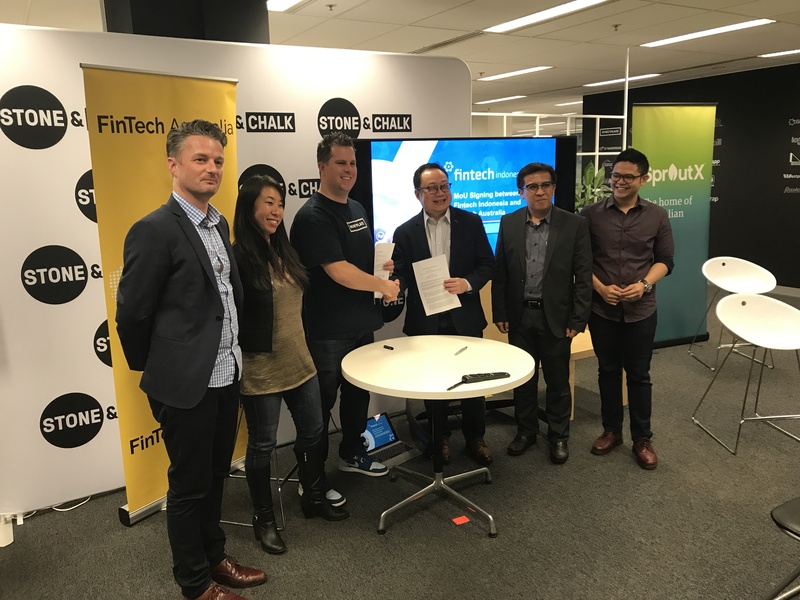 Signed on 1 December, the memorandum of understanding between FinTech Australia and FinTech Indonesia is regarded as an important step to drive the mutual development and growth of fintech industries across both jurisdictions. We have an opportunity for a fintech community leader to sponsor our end-of-year infographic and opinion piece, which will outline the industry’s achievements during the second half of 2017 and predictions for 2018. Our half-year infographic, published in August, (pictured left) received widespread domestic and international media, and social media attention. Australia’s 2.1 million small to medium enterprises (SME) are the backbone of the nation’s economy, employing more than 7.3 million people (or about 68 per cent of Australia’s overall workforce). Fintech lending and finance firms are increasing providing the capital that these businesses need to invest and grow. Below is a comment given to The Australian newspaper on the decision by the Australian Securities Exchange to use distributed ledger technology for its settlement and clearing system for equities transactions. When it comes to blockchain and distributed ledger technology, Australia is going beyond the hype and instead developing real solutions and governance for this technology. The ASX announcement is further evidence of this. 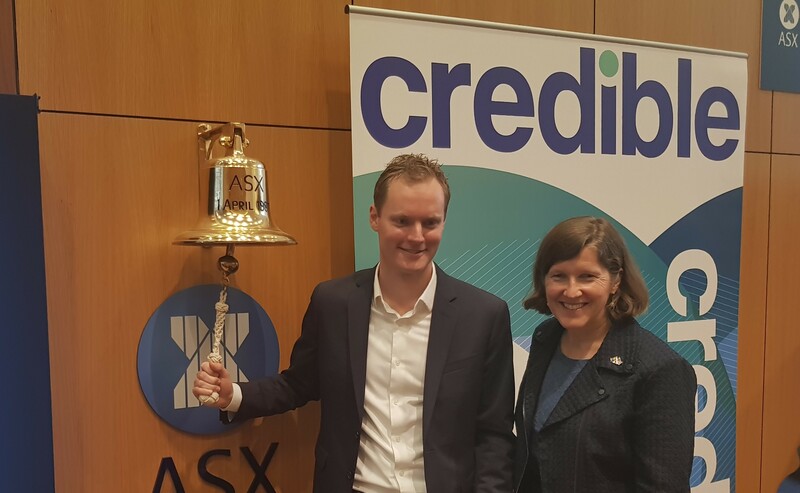 A successful AUD$67 million capital raise by US-based consumer finance marketplace Credible on the Australian Securities Exchange (ASX) illustrates the strong and growing appetite for exposure to fintech by Australian investors. Credible was founded as a student loan refinancing marketplace in San Francisco in 2012 by Australian-born entrepreneur Stephen Dash. Australia is set to further grow its world-leading blockchain and digital currency industry following the Australian Parliament’s approval of anti-money laundering legislation last night, according to Australian fintech leaders. The Australian Senate passed legislation extending anti-money laundering and counter-terrorism financing regulation to digital currency exchanges. Fast track your career and register for CFTE’s new online Fintech course today! This innovative programme brings together 4 highly respected Fintech lecturers from four major international universities, which include: The University of Hong Kong, Singapore Management University, Oxford University and Imperial College London. Do you know a high-growth start-up that can solve a real-world problem? Is it built on AI, VR or AR technology? If so, nominate them so that we can help accelerate the start-up’s growth globally? Are you a high-growth start-up looking to solve real world problems? We can help accelerate your growth globally. Does your high-growth start-up solve a critical business problem? Apply for the EY Accelerating Entrepreneurs program by 18 December 2017 and get ready to accelerate your company’s growth globally. How will your high-growth start-up change the world? The EY Accelerating Entrepreneurs program is aimed at startups who are using innovative technology-based solutions (including Artificial Intelligence, Augmented Reality, Virtual Reality, Analytics, Robotics, and Internet of Things) to solve real-world problems.